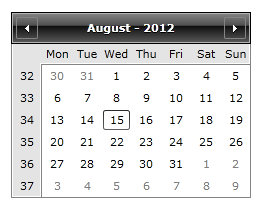 With the Q2 SP1 2012 release we introduced an easier way to disable dates in RadCalendar control. Now all that is needed to disable certain dates in the Calendar is to bind the BlackoutDates property of the control to a collection of dates. The purpose of the following tutorial is to show how to disable certain dates in RadCalendar.